Operational Procurement with SAP Ariba is easier than ever before. With QuickValue P2P for SAP Ariba Snap you benefit from a user friendly P2P solution containing smart innovations which will ensure customer satisfaction. It is an end-to-end P2P offering that comes with standard out-of-the-box content and best-practices, enabling a fast implementation. Our approach will deliver value immediately and is specifically aimed at medium and large enterprises. 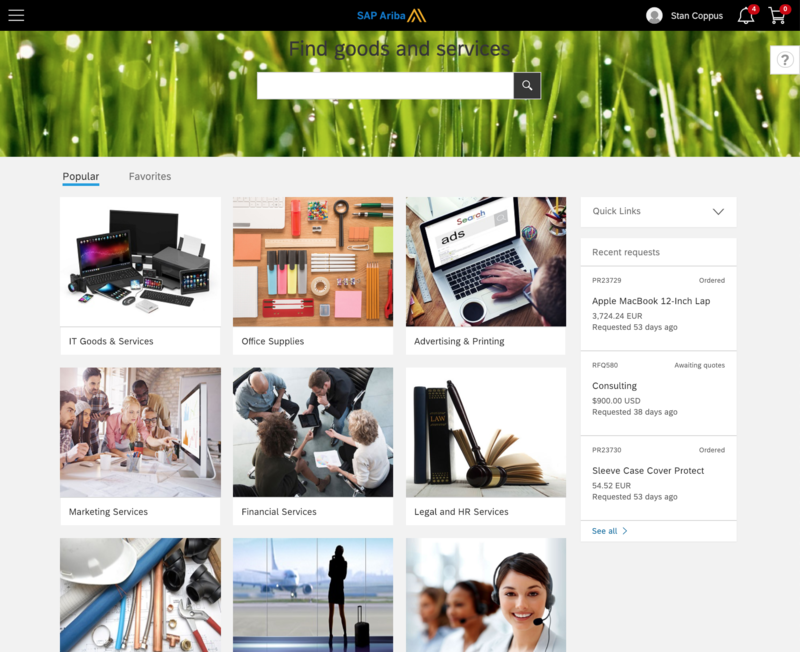 The shopping experience with SAP Ariba is as simple as purchasing something on your favourite webstore. The online shopping experience of this solution guides users to the preferred suppliers and their products. Your procurement guidelines are automatically followed by your employees. Negotiated savings become actual savings and your Spend Under Management increases. An important element in the mid-market package is the simple solution for supplier enablement. Supplier enablement is the process of electronically connecting suppliers to your business in order to digitally exchange business documents such as purchase orders and invoices. What if Accounts Payable can be 3-5 times more efficient by realizing ‘touchless invoicing’ processes? We offer frictionless supplier enablement with an e-mail based process for purchase orders and invoices. Your suppliers can register for free and you can start exchanging documents digitally via the SAP Ariba network. All the supplier needs is an e-mail address and they can start receiving your PO’s per e-mail that they can open via secure login. Using an easy-to-use portal they can track their PO’s, create order confirmations, ship notices and ‘flip’ the PO to an invoice – following your requirements. This is all free of charge to your suppliers. We implement this innovative and user-friendly SAP P2P solution in 12 weeks. This will give you short time-to-value and a quick ROI. Get in touch with us if you would like to see QuickValue P2P for SAP Ariba Snap in a live demo. We gladly assist you in working out the roadmap that aligns with your procurement ambitions. Think big, start small. Click here for an informative flyer. Would you like to explore the possibilities for your company, or do you have any questions? Do contact us via the contact form below.